Vice President, Yemi Osinbajo, yesterday, launched TraderMoni, the collateral-free loan targeted at petty traders and artisans, in Iwo, Osun State. The scheme is part of the National Social Investment Programme (NSIP) and operates under the Government’s Enterprise and Empowerment Programme (GEEP), reinforces the Federal Government’s commitment to bridge the credit gap and empower Nigerians at the grassroots. “The policy of the Federal Government is to support businesses, not just big businesses but small, medium-sized businesses and micro businesses. He noted that the loan is a progressive one which will not only help traders expand their businesses but also change their levels by making their lives prosperous. “We will give them more as they begin to repay the N10,000. If they repay the N10,000, they will be given N15,000. Beneficiaries of TraderMoni have six months to repay the loan with flexible options of N85 daily or N430 weekly. Also speaking, Executive Director, Bank of Industry (BoI), Mrs. Toyin Adeniji, said the Federal Government was targeting to empower two million petty traders with the TraderMoni loans, adding that the initiative will disburse a minimum of 30,000 loans per state including the Federal Capital Territory (FCT). The Vice President said no government in the history of the country had implemented such an economic-boosting programme, adding that the President Muhammadu Buhari-led government was interested in the welfare of the people. The loan is targeted at food sellers, maishais, petty craftsmen, shoe repairers, bricklayers, okada riders and petty traders. The initiative is an addition to MarketMoni, which already caters for market traders and FarmerMoni, which is for farmers. Without having to leave their wares, traders are enumerated at their places of business and after verification by BoI, they receive a cash notification or credit alert in their mobile wallet account. The cash can either be transferred to their bank account or cashed at any mobile money agent. Unlike traditional loans, no form of collateral or documents are needed for TraderMoni. “We want to empower the masses especially those who are not lazy; we have to empower them with loans to continue with their trades,” he said. Osinbajo explained that TraderMoni will not only uplift Nigerians but also discourage corruption. He charged the benefitting traders to pay back the loan facility, stressing that this would give opportunity for others to benefit. Echoing the words of the Vice President, Oluwo of Iwo, Oba Abdulrasheed Akanbi, commended the Federal Government for making the welfare of the people top priority of the administration. 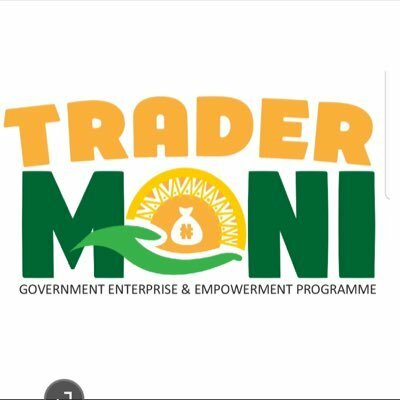 Expectedly, the launch of TraderMoni elicited excitement from beneficiaries in Osun State. A meat seller in Odo-Ori, Osun State, who identified himself as Ayanwunmi said he will use the money to expand his business and promised to repay the loan in order to qualify for a higher sum. He particularly commended the Federal Government for remembering the youth and hoped for the continuity of TraderMoni. According to him, the programme will go a long way in empowering businesses and changing the lives of Nigerians especially the youth. Adepoju Gbemisola, a food seller in Iwo, could not contain her excitement as she received the credit alert of TraderMoni on her mobile device. Why OSUN STATE and why now? Abacha loot going going……. It is how cheap the enemy has regarded this territory natives, insulting this the intelligence of this territory natives. How cheap the enemy think they have reduced this territory natives as poor hungry people without choice. The end of the insult etc. has come to an end in this final conquest of the Liberation Revolutionary Warfare of the natives under the natives Disintegrated Republics which is the conquest of Sokoto which has begun. God given Victory is the natives. Only the Sword decides. God Is With Us!! !